Anyway, hopefully I’ll get back into the swing of things soon. In the meantime, here’s a post I’ve owed you for a long time. 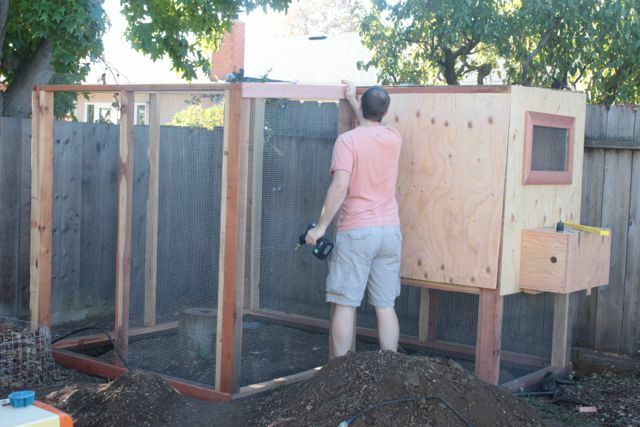 Rockstar husband started building the coop back in October right after we got our chicks. He spent 3 or 4 weekends working all day on it. 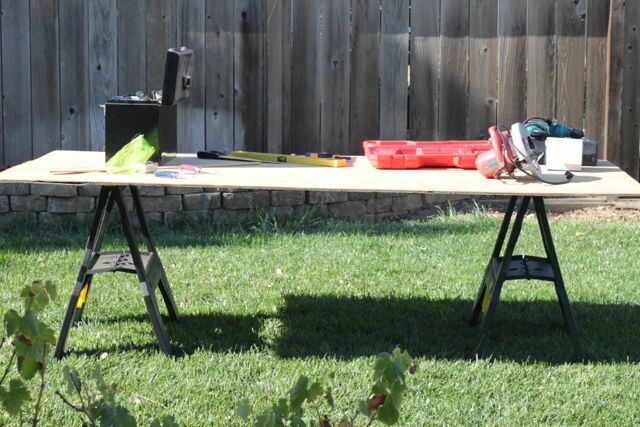 I helped with some small parts, but really this was his project. 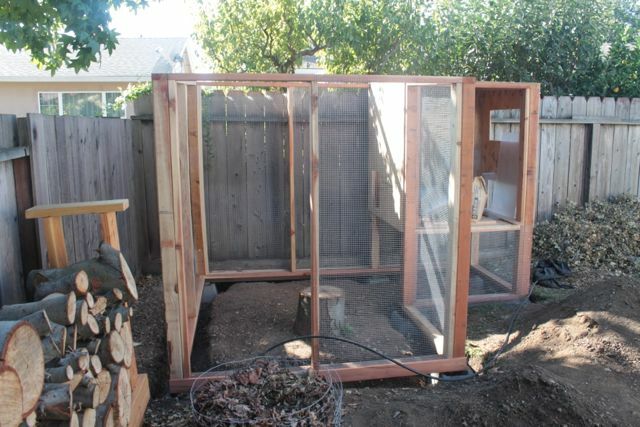 He designed the coop after spending many hours researching coops on www.backyardchickens.com. He’s almost done with it now. There are a few last things to finish that haven’t happened because it was rained almost every single weekend since he last worked seriously on it. We plan on painting it and sealing the wood once it dries out completely in the spring. Ideally, that would have been finished BEFORE the rain started, but oh well. 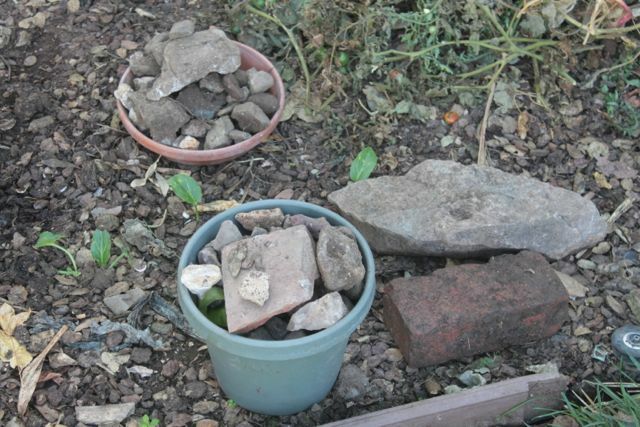 Rocks that little man and I collected in the yard to backfill the trench. These are the make the run more “predator proof” because an animal trying to get in wont be able to dig through the rocks. The footprint of the coop and run. Our goal was to make the run completely predator proof. That way, if we are away overnight, we can leave the coop door open and the chickens can let themselves out into the run in the morning. Without a predator-proof run, we’d have to make sure to be home everyday at nightfall to lock the chickens up. 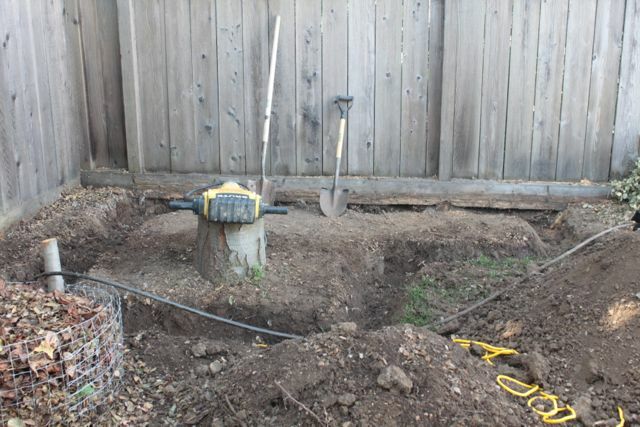 We borrowed a friend’s jackhammer to dig through some of the tougher parts of the dirt. Thank you friend! If you’re wondering why there’s a stump in the middle of what will be the run, it’s because we just cut down a tree that was there. We left the stump so that the chickens can perch on it. 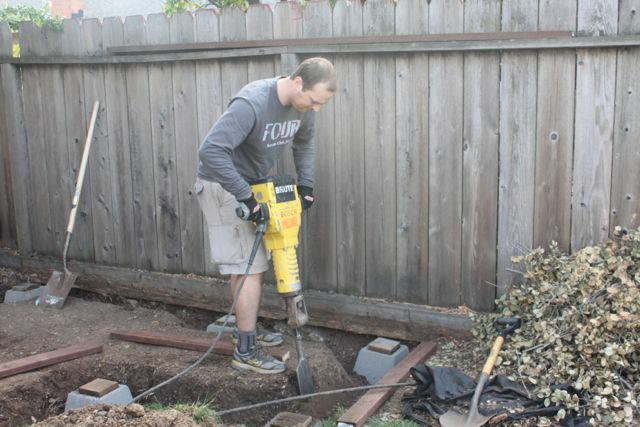 Rockstar husband demonstrating his jackhammering skills. Lots of progress done at this point! 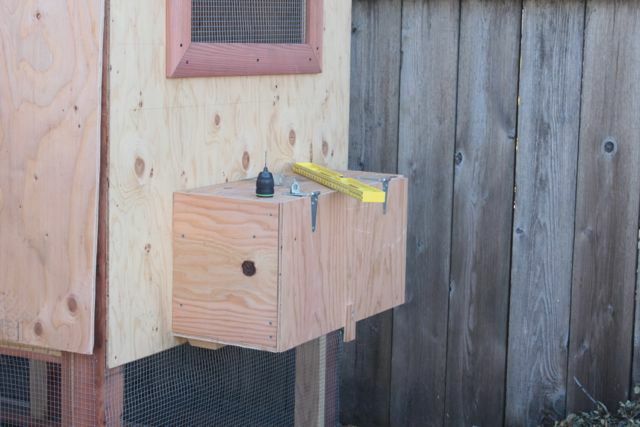 It’s still missing a door for the coop, door for the run, nesting boxes, perching rack, welded wire on top of the run, and probably lots more. See that irrigation tube? 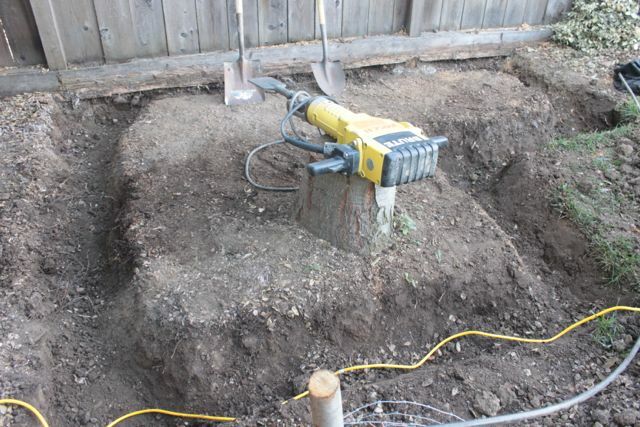 We dug it up while digging the trench. Eventually we’d like to add a hose right by the coop to make filling water and cleaning easier. It’s not top priority but it’s on our list. 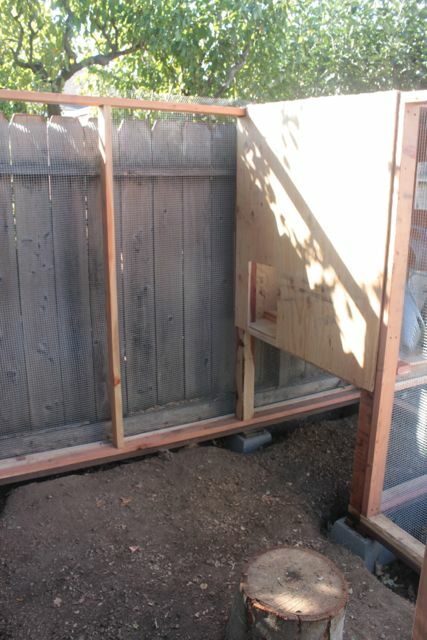 Here’s where the chickens will go in and out of the coop. 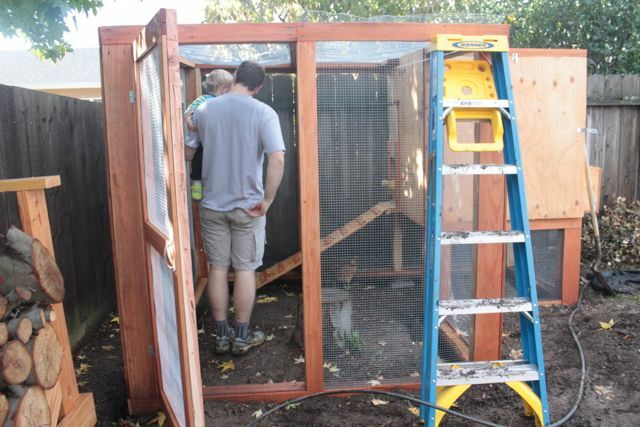 And see how the coop is raised up, allowing extra run space under it? It’s perfect for rainy days and hot summer days so that the hens can get out of the elements but still be outside if they want to be. Adding paneling over the welded wire so that varmints can’t rip it off and get in. 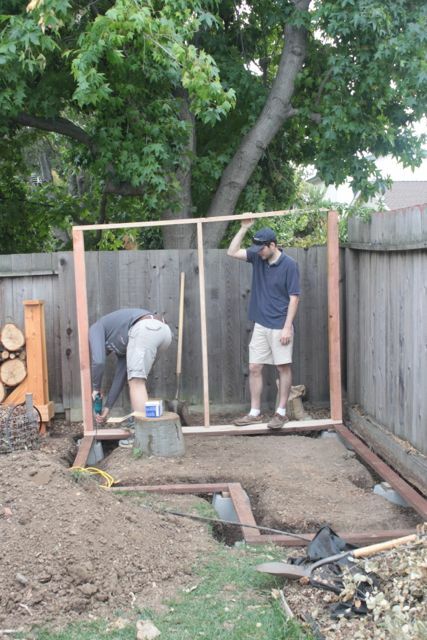 You can’t see it here, but we also ran the welded wire down into the trench before backfilling. This adds to the predator protection. Nesting boxes done. A feature that most nesting boxes don’t have that I LOVE is that it is designed to open UP instead of DOWN. Know why? So that little man can eventually open it up himself to collect the eggs. If it opened down, it would be hard for him to reach the eggs inside. I love that rockstar husband thought of a little detail like that. What a good papa! Almost done! 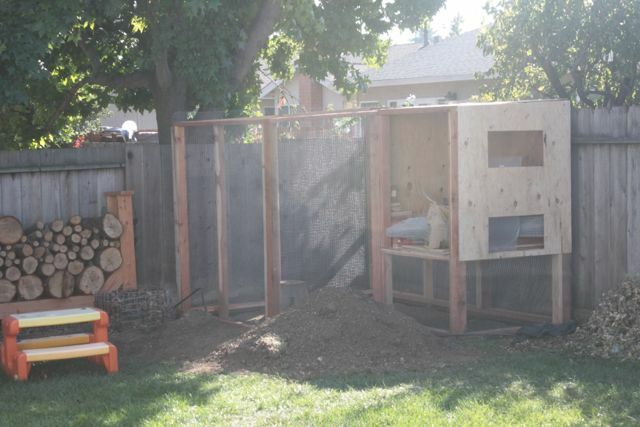 The run has a door now, there’s a ramp in place for the chickens to get up and down from the coop, the chicken door for the coop is in place. You can’t really tell because the ladder is blocking it, but the coop door is on a pulley system so that we can just run out and open or close the coop door from the outside of the run without having to unlock the run on a cold winter morning. 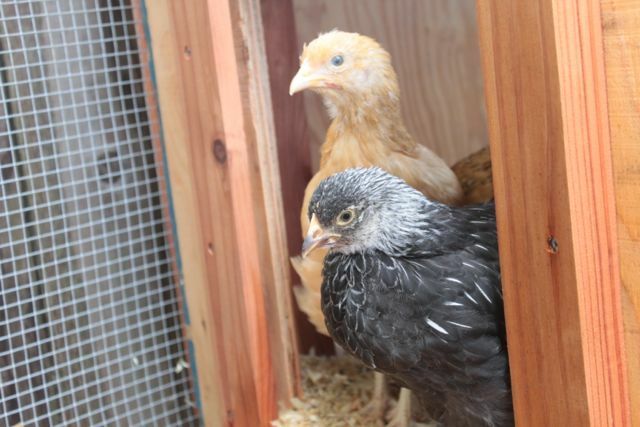 Chickens exploring their new home. I think they like it! This entry was posted in backyard, backyard chickens, gardening, sustainable on January 13, 2013 by seedsowingmama.